choose us for your repairs. Same-day appliance repair is our specialty! Our vehicles are stocked with most common appliance parts, often enabling us to complete repairs in one trip. If we don’t have a part in stock, we’ll grab one from our local supplier when available. Each of our techs is required to carry insurance, and they undergo extensive appliance repair training before running calls independently. We guarantee quality repairs and a friendly service experience with your repair professional. We stand behind every appliance repair — so if something goes wrong, you’re covered. If problems related to the original repair, we’ll resolve any problems free of charge. Your total satisfaction is our priority. 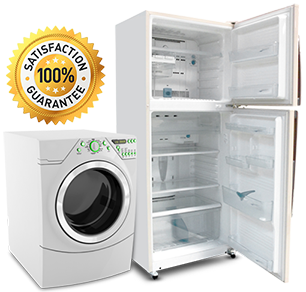 We’re a residential and commercial appliance repair company serving the Nashville metro area. By combining the highest standards of professionalism, affordable appliance repair services, and a friendly attitude, our goal is to become Nashville’s most trusted source for appliance repair. We run a no-frills appliance repair service and depend on repeat and referral business to run an efficient service. We stand behind every appliance repair with a comprehensive one-year warranty — so in the unlikely event you experience problems after one of our repairs, we’ve got you covered. 1. Same-day appliance repair. We can usually offer same-day service before mid-day. We’re open Monday – Saturday, from 8 am to 5 pm. We also provide emergency service for refrigeration issues, major leaks, and so on. 2. Flexible appointment windows. We’ll give you a call before heading to your location, enabling you to go about your day as normal. 3. Seasoned appliance technicians. The quality of our work is our trademark, and our technicians are experienced with a wide range of issues affecting most major appliance brands. ASAP’s techs are highly qualified, extensively trained and EPA-certified. And before joining our team, each tech undergoes comprehensive background examination. 4. Dependable customer service. We don’t employ confusing call menus — just nice people. Call us and we can help you book an appointment for appliance repair or answer any questions about our service or policies. 5. Reasonable and affordable. Transparency is one of the cornerstones of our business — all of our policies are clearly laid out on our web site. And our pricing is “by-the-book” using the MASPG (Major Appliance Service Pricing Guide) to appliance repairs by the job. Never any hidden fees. 6. Comprehensive 1-year warranty. ASAPpliance Repair stands behind every repair with a comprehensive one-year warranty — and we use only original factory parts whenever they’re available. For more information, see our Warranty page. We offer our services in Nashville and surrounding cities. Our service area spans from Goodlettsville to the north to Mt Juliet to the east, down to Smyrna and Franklin and west to Ashland City. Other cities we service include Antioch, Madison, Hendersonville, Brentwood, and others. 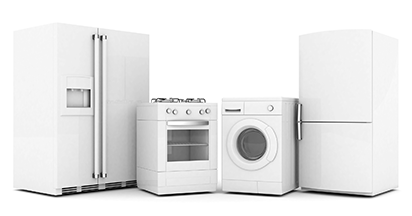 We repair the most commonly used appliances: refrigerators, freezers, dryers, washing machines, ovens, stoves, ranges, dishwashers, and garbage disposal units. Our technicians are skillful in handling all popular brands such as KitchenAid, Maytag, Jenn-Air, LG, Samsung, Kenmore, GE, and Whirlpool. We also offer repair services for boutique / high-end brands such as Sub-Zero. What we don’t work on: microwaves, small appliances, trash compactors and walk-in coolers. We regret we’re unable to work on the following brands due to issues with manufacturer warranties or part availability: Asko, Dacor, DCS, Fisher & Paykel, Gaggenau, Manitowoc, Miele, Thermador, Wolf, and Viking. If you want to know more about us, see our Why Choose Us page to find out what makes us different from others in the industry. Goodlettsville Millersville Nashville Rural Hill ...and more!